With the rapid development of science and technology, the intelligent commute is forming an inevitable trend of future transport. In Airwheel, great emphasizes have been placed on the development of intelligent commute products. Airwheel self balancing electric unicycle is going to start a revolution of eco-friendly commute in the year of 2015. The 25th LIMA was held in Malaysia between 17th March and 21st March. 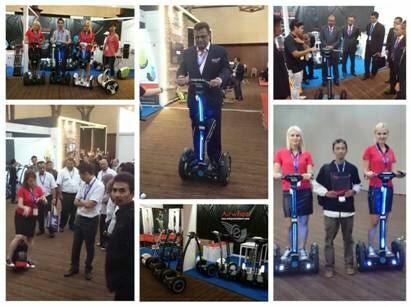 Airwheel exhibited all lines of intelligent scooter in the exhibition. Thanks to the innovative intelligent experience, dashing exterior look, eco-friendly and energy-saving features, Airwheel self balancing electric unicycle became the spotlight of the exhibition. LIMA has been one of the largest exhibitions as to the technology of the national defence in Asia-Pacific regions since firstly held in 1991. The theme of this exhibition involves the civil and military aerospace, aerospace electric devices and the plans about maintenance and modern customization of airplanes. As the trend of saving energy and reducing emission grows, Airwheel brings a brand new personal transporter to meet the demand of intelligent commute, aiming at protecting environment and leading a green lifestyle. The Airwheel S3 is the first model of intelligent self-balancing scooter launched by Airwheel Technology (Official website: http://www.airwheel.net/). The appearance of the Airwheel S3 self balancing electric unicycle looks simply streamlined and sleek. The mixture of blue, silver and white gives it a futuristic impression and draws every visitor’s attention. 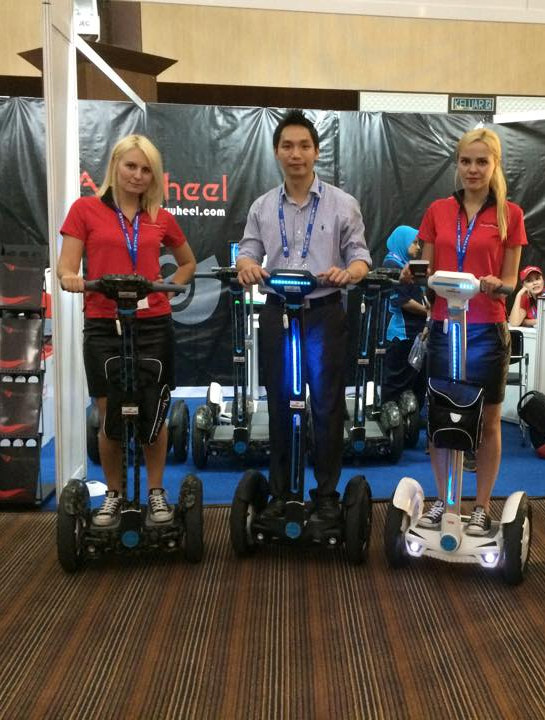 In the exhibition, the on-site staff members of Airwheel gave a vivid show-how and guided visitor how to control. Besides, Airwheel provided a couple of free demos of intelligent self balancing electric unicycle S3, so that visitors could get a better experience of Airwheel scooters. With the rapid development of science and technology, the intelligent commute is forming an inevitable trend of future transport. In Airwheel, great emphasizes have been placed on the development of intelligent commute products. Airwheel is going to start a revolution of eco-friendly commute in the year of 2015. Previous：Do you have an in-depth knowledge about the two-wheeled scooter Airwheel Q5?